Do you need to get a passport for your little one, but can’t find a good way to make the kid passport photo? Indeed, it often turns out to be a trick. Newborn children are too little to take them to a photo booth or photo studio. It is inconvenient, it is distressing and it can become annoying for everyone - for the kids, for their parents, and for the photographer. How to complete this mission in non-stress mode? Make your baby passport photo at home! To do it, you will need your child, a camera and a passport photo editor. In this guide, we’ll give you some advice on how to prepare a passport photo for a kid in mere minutes. The picture will meet all the official specs for its dimensions, proportions, colors, lighting etc. and will not be rejected. toys, bottles, pacifiers are forbidden in the baby passport photo. First of all, sit your infant in a baby chair covered with a white plain sheet. For too young babies, you can place a white blanket on the floor and put the newborn on the top of it. The child’s outfit color should be contrasting to the white background. The children must be on their own, so do not use group photos. To take an infant passport photo at home, use a smartphone or a digital camera. Place the camera around 1.5 meters away from the infant. Thus, you’ll provide enough place to crop the image correctly for it to comply with the baby passport photo size requirements. Place the light source in front of the child and do not use a flash. It will help you avoid any shadows on the background. No hands showing in the photo are permitted, so If your baby needs to be supported, put your hand under the back of the child’s shirt and hold their head with three fingers. Plan the photo shoot after a feed but before your little one gets sleepy because a tired or a hungry baby is hardly a perfect model. Although infants under 6 months do not have to look straight at the camera with their eyes entirely open, you can try drawing your baby’s attention. To do that, hold a rattle or some other toy making noise behind the camera. Take as many shots as possible - the more pictures you have, the higher the chance that one of them is acceptable. 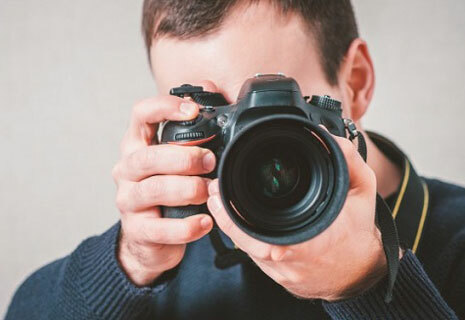 Do not postpone taking photos until the eleventh hour so that you have enough time to retake them in case the officials delay your application. Taking a photo is the 1st step in getting a passport for your child. 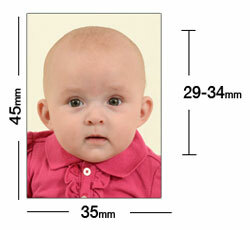 Next, you’ll need to prepare the photograph according to the baby passport photo guidelines. It can take ages to edit the picture in Photoshop or a similar photo editor. 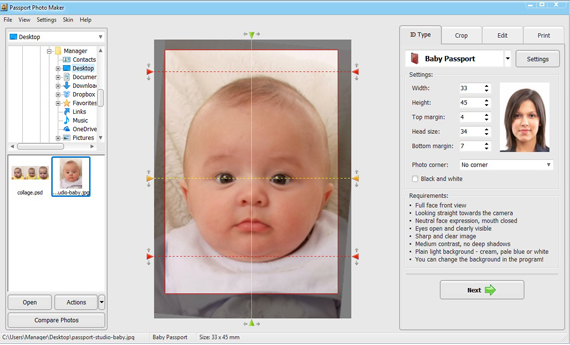 Download Passport Photo Maker and you’ll get an excellent program to make a perfect image for a baby passport application with just a few mouse clicks. 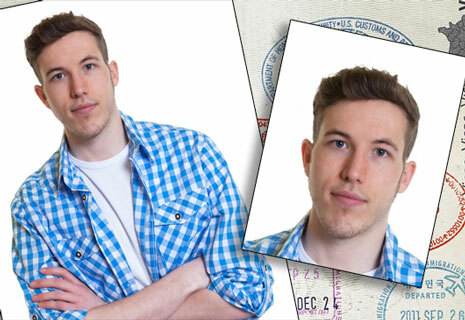 To choose the best photo, make a few shots and compare them in Passport Photo Maker. 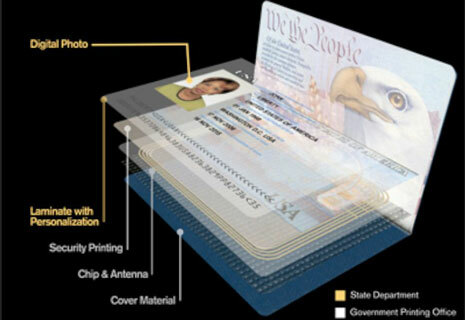 Thanks to the smart cropping tool, you can create a biometric passport photo. The facial features are detected by the program automatically, but if needed, you can crop the picture manually. Also, adjust the color balance, saturation, contrast, and sharpness to get high-quality photos. 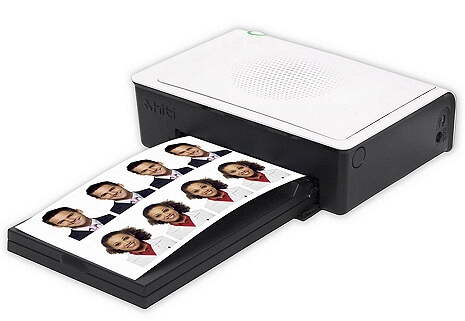 If you have a high quality printer at home, print passport photos for the baby straight away or take them to a photography shop. Alternatively, save digital images to a memory stick as an electronic copy of passport photo for online submission. Get started with Passport Photo Maker software and try it for free - it is the best way to save your time and money when you need to get some ID photos for your family and yourself.